Sometimes someone sending you a PDF file that has been password protected. He/she did informed you the password to open the PDF File. 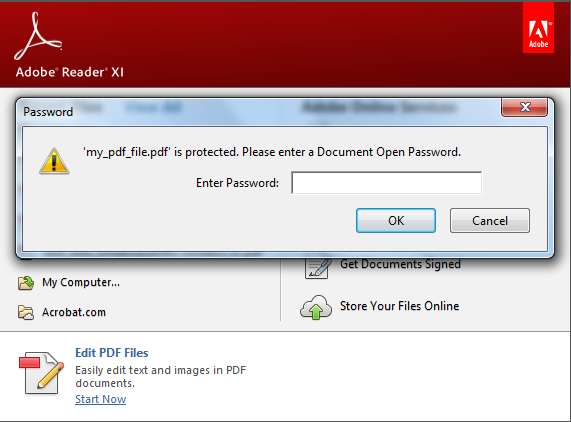 But you feel it's very annoying to input (type) the password everytime you want to open the PDF File. And when you "Save As" that PDF file to other filename and then you open the result PDF file, it still ask you to input the password. 1. Open the PDF in Adobe Reader. Select File, then Print. 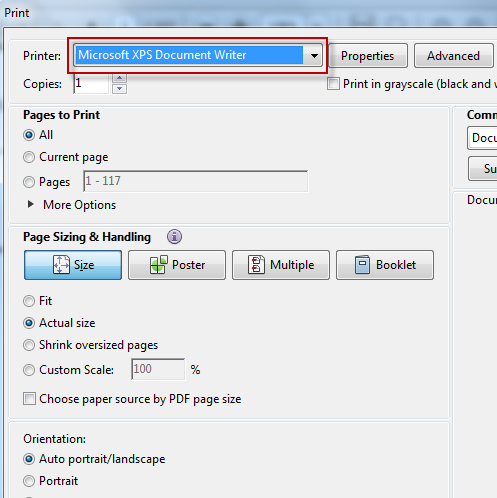 From the Printer drop down menu, select Microsoft XPS Document Writer. This will convert the PDF into an XPS file. When you click the Print button, you will be prompted to save the file. For example you save to "staging.xps" filename. 2. 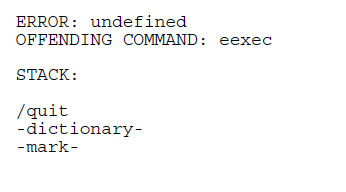 Open the XPS File that result from step 1 above, in this example, the "staging.xps" file. 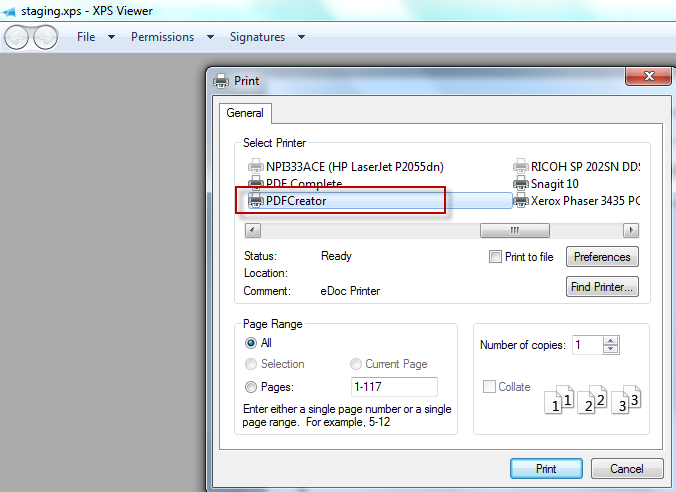 Print the file with PDF Creator. After being prompted for a filename, the document will be converted back to PDF. Voila, the newly-converted PDF will be unsecured (without password protected).